At 28, Lauren Burman was burnt out. She was a ceramist who was widely celebrated for the colorful Little Shirley bud vases she named after her grandmother and sold through her company, Material Good. But after eight years of turning a thing she loved into reality, she’d lost sight of what life was like outside of work. So, she sold the business and, after a few months of yoga classes and long walks with the dog, turned to her primary hobby and passion: food. She taught herself about pastry before landing a job at Cafe Besalu, then Macrina. Now, she’s launching another business, Icebox, dedicated entirely to ice cream cakes. The jump from ceramics to pastry is perhaps more obvious than you’d think. Both, Burman says, revolve around “creating something out of nothing.” Not exactly nothing, though: Molly Moon’s ice cream is layered between Burman’s dense, softly sweet cakes, which are then finished with light Swiss meringue buttercream, plus house-made sprinkles and other toppings. Ice cream cake flavors include vanilla birthday cake and mint chocolate chip. The result is pure nostalgia—reminiscent of Dairy Queen or Baskin-Robbins, but in an entirely superior echelon. Burman hopes to eventually have her own brick-and-mortar space. Her idea has always been to make custom cakes and be in a place where she can offer slices to customers who can sit down to enjoy them. 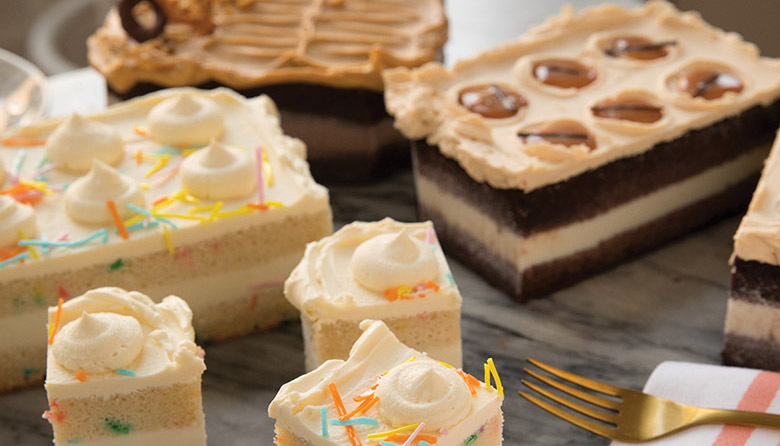 For now, however, limited cakes are available at Molly Moon’s scoop shops, or you can go to the Icebox website to place a special order from the broader menu (including our favorite, peanut butter chocolate, $47.50) for delivery.